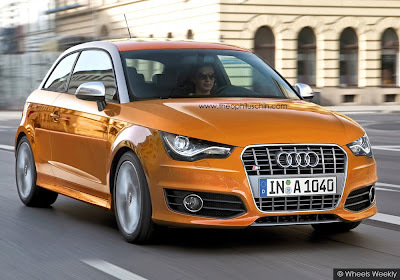 Rumor has it that Audi plans to release an S variant of the A1 in 2012; boasting a 1.4-liter turbo four cylinder producing 180 hp. The only disappointing news is that the S1 will not be equipped with quattro. To get a an idea of what the Audi S1 may look like, "automotive manipulator" Theophilus Chin, was nice enough to allow us to post his latest rendering. In addition to the S1, a 5-door version of the Audi A1 is reportedly set hit showrooms next year followed by a cabriolet in 2012. Check out theophiluschin.com for more great automotive renderings.